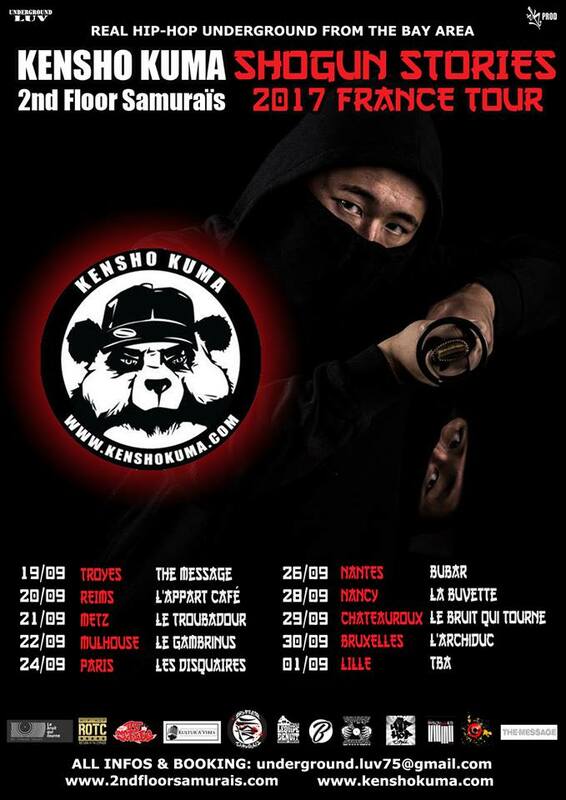 I was given the wonderful opportunity to embark on a solo tour throughout France in September ’17, to promote the 2nd Floor Samurais’ Shogun Stories Album. The tour also included stops in Brussels, Belgium, and Leipzig, Germany, where I was honored to hold down the opening slot for longtime friend Akua Naru. Below is a clip featuring performance highlights put together by Donovan Jugarap @Hapa Films. The footage itself was shot on site by Architeknic, King Siroko, Kevin Bantsimba x Kody Baby Ghost of Smileyz Crew, K-Turix of Cultur’a’ Vibes, and Patricia Sanchez. Thank you for making this experience possible. Special Shout outs to Arckiteknic who masterminded the entire venture.